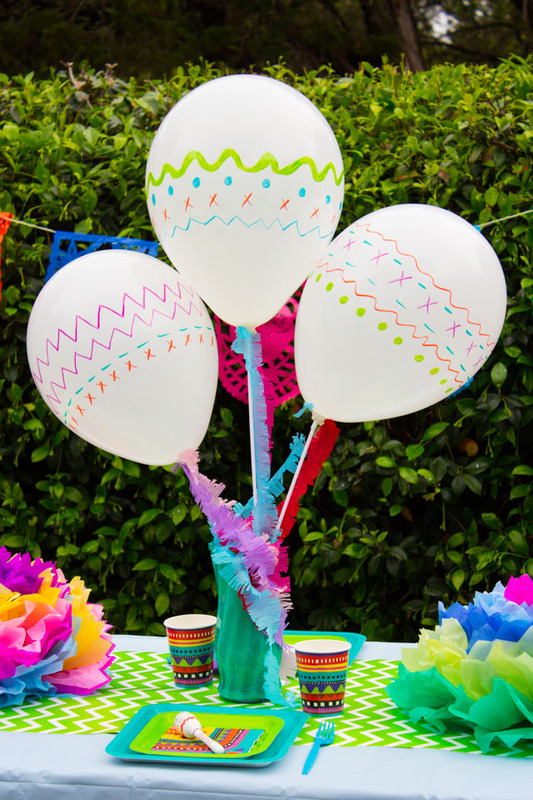 I hope you’ve enjoyed the Cinco de Mayo party ideas and DIY fiesta balloons I created along with Oriental Trading. 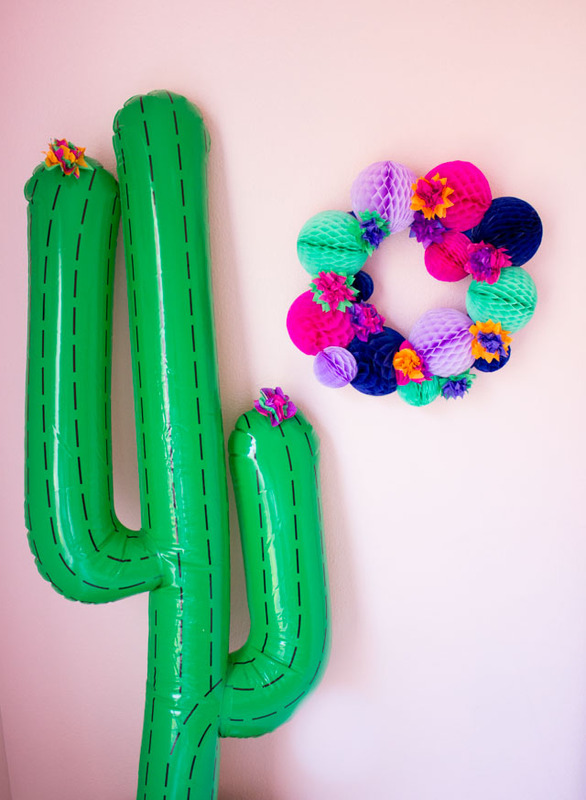 I’ve got one more Cinco de Mayo craft idea for you – a fiesta wreath made from honeycomb balls and tissue paper flowers! 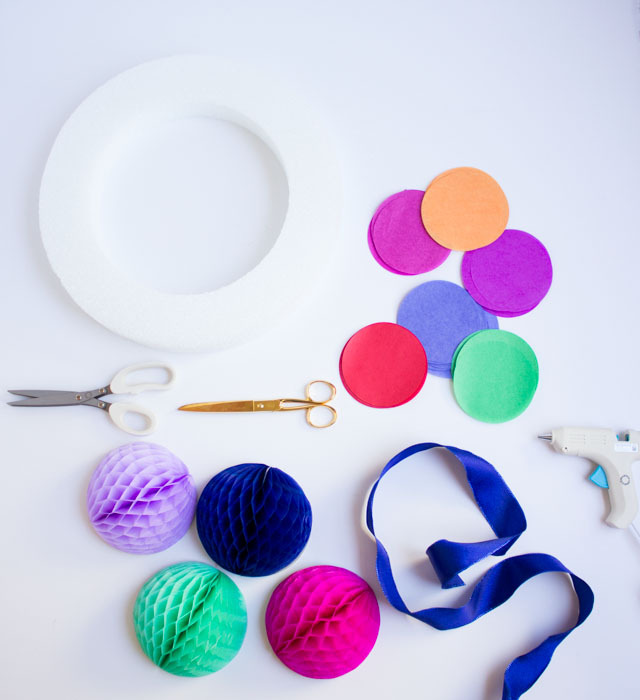 I’ve been wanting to craft with honeycomb balls for awhile, and Oriental Trading sells these in the prettiest pink and navy and mint and lavender color palettes. 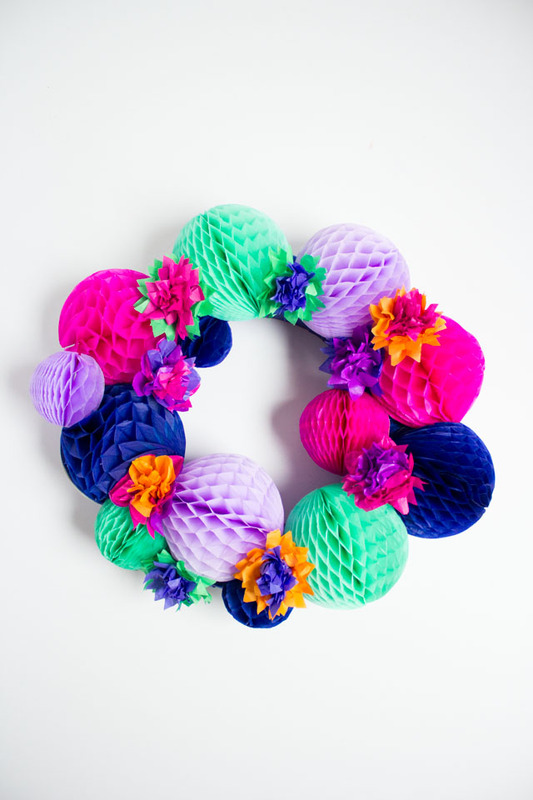 When combined, they make for one colorful wreath that you’ll want to keep up all summer! 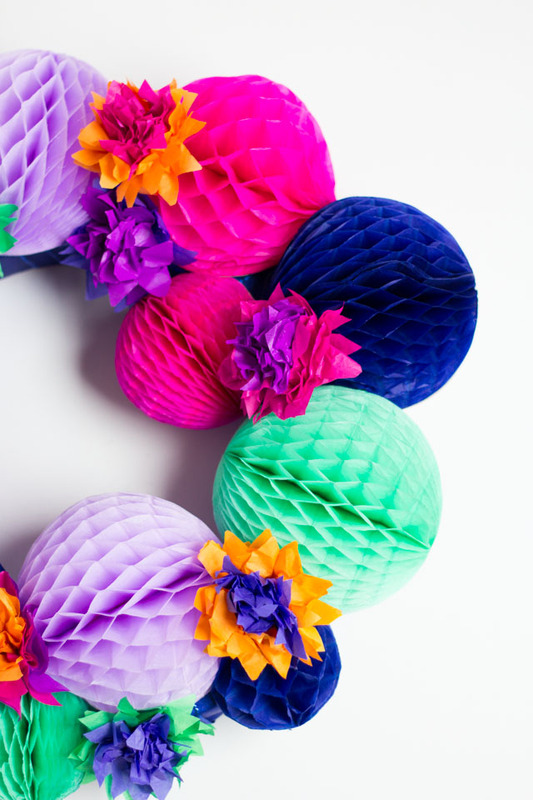 I made simple tissue paper flowers to fill in any gaps between the honeycomb balls. 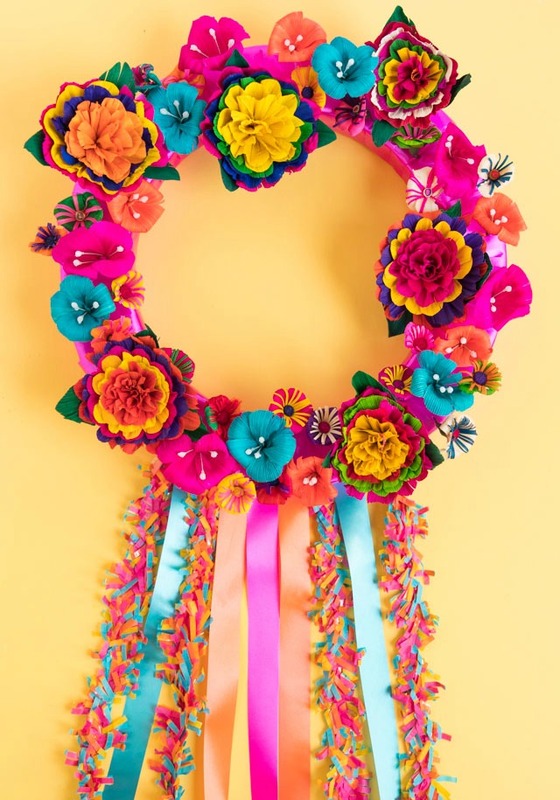 I used these same flowers to make fun floral headbands for our Cinco de Mayo party – score! 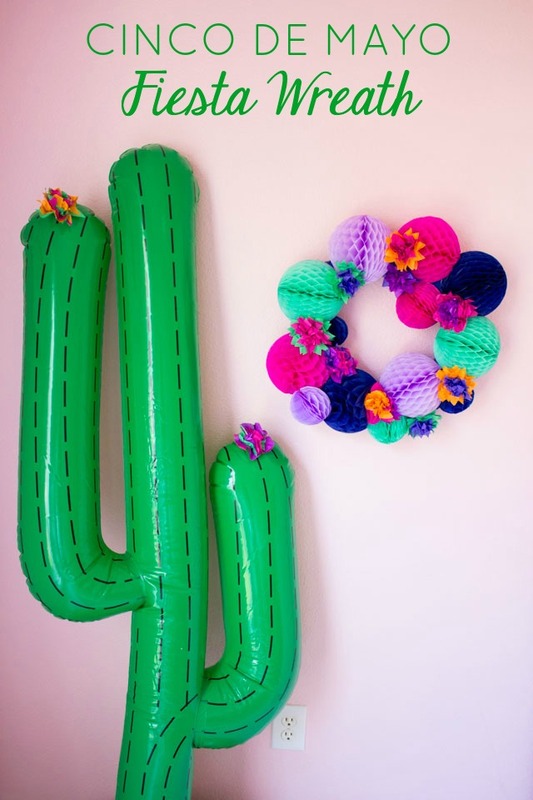 Pair the wreath with an inflatable cactus (adorned with a couple tissue paper flowers), and you’ve got the perfect backdrop for your Cinco de Mayo or summer fiesta party! I used some fun products for this wreath including pre-cut tissue paper circles to make the flowers – they were such a time saver! 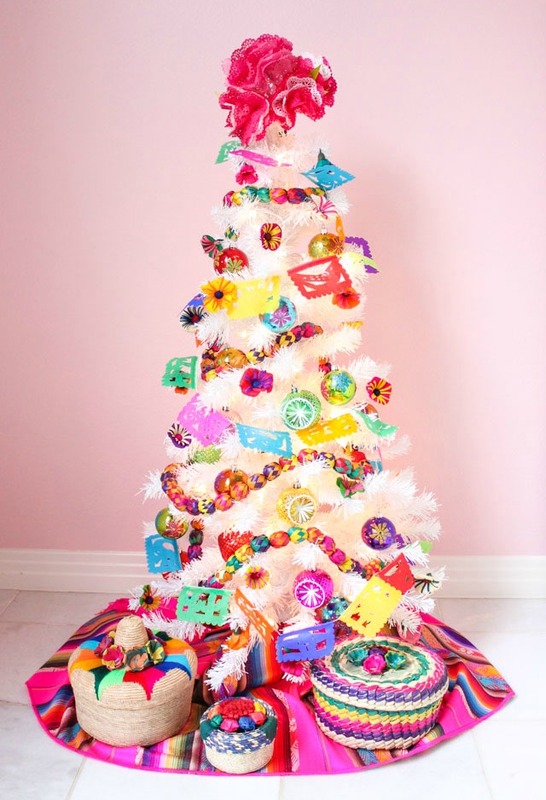 Head to Oriental Trading’s blog for the full list of supplies and fiesta wreath tutorial! 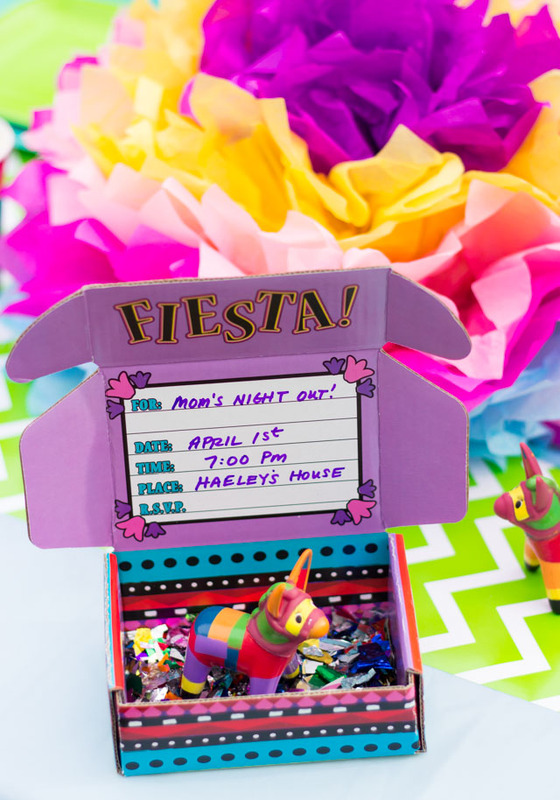 7 Essentials for a Cinco de Mayo Celebration!